It’s almost impossible not to have a side in any of those issues. However, the workplace is not the place to share those opinions. I’m sure you guys already know the unspoken rule about not discussing religion, politics, and other controversial issues at work; but there’s another trap I see too many people fall into—responding when someone else brings up those issues. There will be one in every crowd—the radical that must spread his or her views with anyone who has ears. The best thing to do is to either not take a side or make it clear that you don’t discuss certain things in a work setting. You may not think it’s that big of a deal, but the fact of the matter is you don’t know how the person to whom you are speaking will react. Furthermore, you don’t know who could be listening to your conversation. Someone could walk by and hear your views and spread them to others in the office. And if anyone doesn’t agree with what you expressed, that could cause a bias that affects how you are viewed. If the certain someone who doesn’t agree with your opinion turns out to be your boss, think about how that could affect a raise, promotion, or the general environment of your workplace. And for you cyber-ranters: think twice before posting your heated opinions onto your social media account. You never know who could end up seeing it and using it against you. There’s already so many physical attributes that could skew how people perceive you—don’t give them any more ammunition to be bias towards you by expressing opinions (unrelated to work) that could be taken the wrong way. Imagine you had enough money to hire a one-on-one companion, a coach, for every employee. What would happen? Well, rather obviously, we do not have the resources to make this happen. So, we have large classrooms with only one teacher, large groups of employees with only one supervisor… the list goes on. But, here’s the thing. If left to themselves, many employees simply repeat past mistakes, and do not improve or get better. They are not reminded. They are not challenged. No one “gets in their face”. I recently did a book synopsis of Paul Tough’s book How Children Succeed. In it is a story of a remarkable middle school chess coach, Elizabeth Spiegel. The book describes how she helps each player develop a “game plan” for each game, and then she debriefs each tournament game in meticulous fashion. Her players are required to keep a log of each move made in the game — both moves they made, and moves made by their opponents. They also are required to note how long between each move – how much time they took to decide what move to make. And then, she “replays” the games with them. She invests a lot of one-on-one, face-to-face time. I stated in summary form that we need to learn for every important task or endeavor to pre-brief and then debrief. So, after my synopsis, one of the participants in my session who served in the military said (paraphrasing), “That is why the military conducts After Action Reviews – AARs — after each action.” The purpose is clear: to actually learn, with meticulous attention-to-detail, what was done well, and what needs to be done differently, better, the next time. It is pretty easy to see why it is crucial that the military conducts such reviews. Lives may be at stake. What can be improved and how? So, if you supervise others, this is a practice to follow. And, if you only supervise yourself, this is still a practice to follow. I think we might be a whole lot more productive, and grow and develop a great deal more in our own capabilities, if we did this on a regular basis. Every one of us. All of us. Don’t you think? Our guts are full of questionable advice. Certainly no one has ever thoughtfully plotted out a meal plan and concluded, “I gotta add more cheesecake.” Nor are our guts any better on big decisions. Often our guts can’t make up their minds at all: an estimated 61,535 tattoos were reversed in the United States in 2009. It is much wiser to follow a proven decision-making process instead of following our guts. The Heath brothers propose such a process — actually, a few different process options — that will help us make better choices and better decisions. It is the WRAP Process. This is spelled out in detail in the useful book Decisive: How to Make Better Choices in Life and Work. Here it is, with the “four villains” that undermine good decision making, along with their proposed solution for each. These are summarized in their WRAP Process. They also have a “5th” solution for those who are way too sure of themselves. Click on the image below to take you to the Heath brothers’ website, where you can download and print the full-page version for this process. (1) Own it (2) Seek joy, and (3) Don’t be a jerk. Sounds simple enough, right? Far from it! He’s using those simple principles to communicate his vision and to transform the culture at JPS. One way he’s doing that is to repeat his message over and over and over. I’ve heard him speak several times, and he doesn’t just say the same thing each time, but guess what? He’s shared his simple 3 rules every time. Every single time. That, in itself, is a powerful leadership lesson. When it comes to my car being inspected at the auto shop, I want 83 things on the checklist. It’s comforting to know they’ve checked it over that thoroughly. But when it comes to being able to articulate the real core of my organization’s mission, it’s not empowering to have a document that rivals War and Peace—it’s bewildering! The one rule that caught my attention was the first one: Own It. He used the metaphor of comparing the way people treat a rental car versus the way they treat their own car. It reminded me of something that I read years ago in Max Depree’s book Leadership Jazz. DePree submitted that one of the things that employees ask themselves about their company is simply, “Can I own this place?” Of course, he wasn’t talking about stockholder options. He was talking about whether or not the organization has the kind of culture that inspires people to do their best and to be proud—really proud that they work there. Get Rid of Cookie-Cutter Solutions! 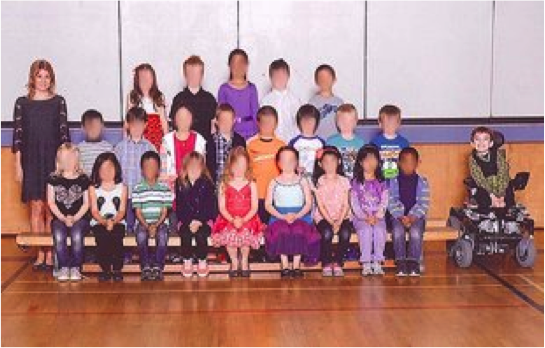 A story about a class photo that I read this week tuned me into how crucial it is to cater to the unique needs of people—and not hand out cookie-cutter solutions. It was an article on Yahoo! about Miles, a 2nd grader in a wheelchair who has Spinal Muscular Atrophy. “Miles knows he’s different than the rest of the kids, but he still tries to fit in. So there he is, on the far side of the image, neck craning as far as he can to stretch into the frame with the rest of his friends. He’s beaming. It’s school picture day and he’s thrilled. If the photographer would have just gotten out of his or her “template” state of mind, the mistake would have been avoided. How hard would it have been to change the arrangement of the students so that Miles would not look like the oddball? It’s this “cookie-cutter” mindset that makes some employees feel like outsiders, which can lead to them disengaging from the company or leaving altogether. You’re going to work and interact with different kinds of people in your lifetime—all kinds of races, ages, personalities, backgrounds, and experiences—but you can’t think that one standard treatment will relate to all of them. Maybe the introvert won’t do well at company parties, but will strive at a one-on-one lunch. Maybe a brainstorming meeting won’t spark conversation as well as a suggestion box will for some in your organization. Yes, you need to push people outside of their comfort zones sometimes, but there’s a difference between helping an individual develop and inhibiting growth by not knowing the individual’s limits. Okay… back to Miles. 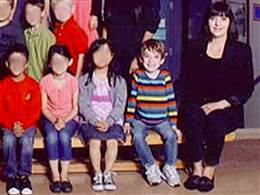 His parents voiced their concerns about the picture (and the story made national headlines), so the class portrait was retaken; and Miles fit in great with the other students. All it takes is a little bit of consideration to each situation you encounter to make a big impact on every member in your organization. I grew up in a farming community. I remember riding a tractor with my grandfather as he turned rich bottomland soil and hoeing weeds in my grandmother’s garden in order to maximize the future harvest. Years later, I can’t help but smile as I reflect on those times. I am also reminded that my grandparents were not just teaching me the fine art of gardening. They were teaching me responsibility, the importance of diligence, and the reward that comes from hard work. You see, soil wasn’t the only thing they were cultivating – they were also working on my heart and mind. Growers believe in and promote high standards – “Get by” is not in their vocabulary. Instead, terms like quality and performance and phrases like excellent customer service fill their vocabularies because they embrace a standard that is above the acceptable minimum. Growers are not defined by job title – They set high standards whether selling snacks at the city pool or managing a department. Growers are not intimidated by the success of others – Growers expect others to succeed and will do whatever they can to make sure that is the rule and not the exception. Growers embrace constructive criticism – They do not blame others nor do they belittle themselves when something goes wrong. Instead, they turn critics into coaches while learning from the past without getting mired in it. Growers say “we” more than they say “I” – They choose to think beyond how decisions impact them as individuals and view their work through a more comprehensive scope. So, are you cultivating growers? If so, prepare to reap what you sow. And that, my friends, can be a very positive outcome. Last Saturday, we visited the Keller Farmers Market in our suburban community. (It was our first time I am ashamed to admit!) We went expecting the same type of Farmers Market I remembered as a kid — lots of fresh produce, but basically a handful of selections repeated again and again by different vendors. I was surprised and thrilled at what I discovered. There was the usual array of locally grown fruits and vegetables with an emphasis on organic and pesticide free. But rather than booth after booth of the same produce, something new had developed on the Farmers Market front. In addition to the fruits and vegetables, all sorts of locally produced specialty foods were available that catered to consumers who want premier quality meals conveniently packaged to make planning and preparing the coming week’s meals quick, easy, nutritious and delicious. Booths included freshly grilled chicken, homemade tamales, crab ravioli, local wines, fresh bakery goods, free-range pork, Texas Longhorn beef (with less cholesterol than turkey!) and so much more — including lots of organic fruits and vegetables. And virtually everything had been designed in convenient meal size packaging to make it easy for the consumer to buy just the right amount they would need for a single convenient, healthy and delicious meal. And did I mention designed, planned and packaged for convenience? In the world I grew up in, you went to the Farmers Market when you had the time for a special day of shucking peas, canning fruit, and cooking from scratch. It was always a wonderful family experience and created lots of memories, but it was the antithesis of convenient. You went to the Farmers Market expressly when you were NOT feeling rushed. By now you are wondering, “What the heck does this have to do with leadership and innovation?” In reality — everything. Farmers Markets across the nation are struggling and closing because they have failed to innovate; they have failed to respond to the needs of modern consumers; and they have failed to change the way they do business. The Keller Farmers Market is thriving (many of the vendors have been there for 4 years or more). And it is thriving precisely because it has changed and innovated and responded to the changing expectations of consumers. In short, the Keller Farmers Market made a commitment to be a “16% organization” and their vision for excellence is paying dividends to both vendors and consumers. Indeed, it contributes to making the community more vibrant, alive and dynamic which translates into a higher quality of life for everyone. If the founders had clung to the old ways of doing business, if they had resisted changing to meet the demands of consumers, they would have gone the way of so many other farmers markets across the nation — just scraping by and struggling to survive. Local governments face the same choices. We must innovate; we must respond to the changing needs of our citizens; and we must change the way we do business if we are to thrive. Those who cling to the old ways of doing business and resist change are choosing a future of mediocrity. The future of your community is too important to cling to the past. Rethink how you are doing business. Search for better ways to listen to ALL of your citizens (not just the shouters). Ask hard questions about whether the forces of mediocrity are mortgaging your future. And then make a commitment to being a 16% organization. Make a commitment to shaping the destiny of your organization and community into what you know it is capable of becoming. Make a commitment to making a difference. In one of my speaking engagements this week, my host pointed me to a participant that had lost 250 pounds over the last year. 250 pounds! He described the difference this had made. More energy. Happier. It was almost like a rebirth; certainly a new beginning. There is a simple truth here. Poor health really does have multiple negative ripple effects. Good health opens an array of better possible futures. Just as people need to be in good health, so too do organizations need to be in good health. Consider these the “organizational vitals”. This is not exhaustive — I suspect that you could add equally important elements. And, of course, there is a clear, non-negotiable starting point– a healthy organization has a product or service that is of value to its purchasers/customers, and the customers want to continue giving this organization their business. A healthy organization is constantly adapting and innovating. A healthy organization has a compelling “this is why we are in existence” understanding. A healthy organization has a clear, challenging organizational strategy. A healthy organization has an effective leader/leadership team. A healthy organization is effective at building and nurturing successful teams. A healthy organization is good at “alignment” — its people are on the same page, with genuine buy-in throughout the organization. A healthy organization excels at finding, nurturing, and keeping its talent (“the right people”). A healthy organization excels at communication — of all kinds — internally and externally. A healthy organization identifies and removes bottlenecks. A healthy organization knows what to measure and measures effectively. A healthy organization excels at execution. A healthy organization excels at serving its current customers and finding its next customers. There’s a lot to say about healthy organizations, but start here… read over the list. Consider your own organization. What do you think? Healthy? Not-healthy? The absolute best leadership book that I’ve read is The Leadership Challenge by James Kouzes and Barry Posner. The book is based upon their 20+ years of research on leadership, and it is undoubtedly one of the most comprehensive books on leadership ever written. (I refer to it often and have even offended some by calling it “the Bible of Leadership Books.”) Amongst the many helpful insights they share is a 20-year study on the traits that followers most admire in leaders. The top four are (1) Honesty (2) Forward-Looking (3) Inspiring (4) Competent. These four seem to show up near the top of the list, no matter who takes the survey or when they take it. KP suggest that these top four traits added up to one big word in the eyes of followers—credibility. What do these findings tell you about the connection between followers and leaders? Perhaps it’s time that supervisors and managers acknowledge that as important as technical skills are, what is sometimes called the “soft” people skills are equally as important. Is it possible that we spend too much time trying to get “them” to be something or do something and not enough time on our own behaviors. Leaders might discover that if we worked harder on “us”, employees might work harder for us. If you want followers to “connect” with you as a leader AND be highly productive, it’s all about credibility. And part of credibility is having the self-awareness to recognize your own shortcomings and work diligently to overcome them. That’s the kind of leader to which people want to connect!